SkillOnNet does it all – 3D slot games, video slots and all with excellent graphics. This nod to the past is the Love Machine slot and with its 3-reels and 3-paylines it will delight anyone who doesn’t enjoy the confusion of bonus features and just wants to spin the reels in peace. 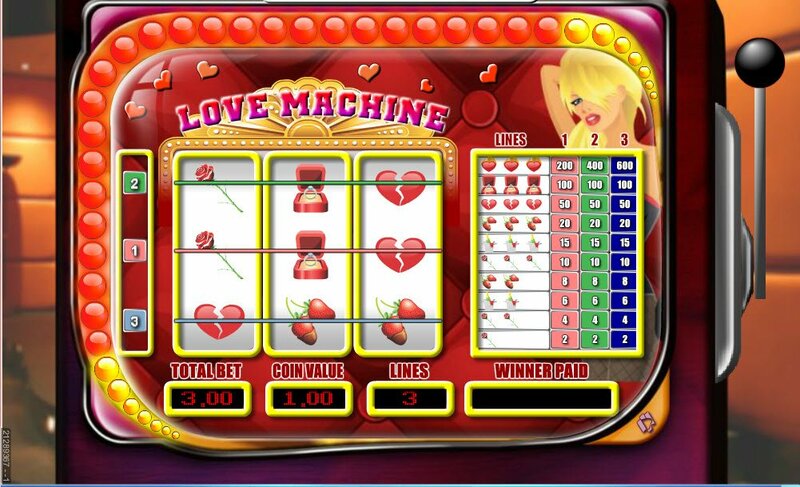 The Love Machine SkillOnNet slot game is a 3-reel, 3 payline old school fruit machine. Some people love paying homage to the old school style fruit machines or pokies that have those pull down levers, while others like to take advantage of the bonus features, free spins and skill games on video slots and 3D slot machines. 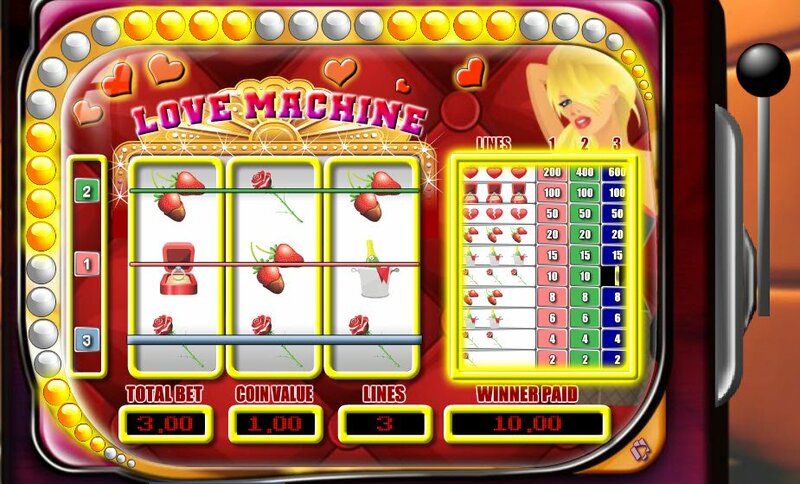 Personally, I prefer the latter, but if you are a 3-reel fruit machine lover, you will enjoy SkillOnNet's nod to the recent past with the Love Machine slot. Broken hearts and engagement rings spin their way round these glittering reels, surrounded by lightbulbs and red hearts. Red roses and strawberries dipped in chocolate join hearts on fire to help you win up to 600 coins on the Love Machine. The audio chimes in while you spin the reels and only then, as they spin and you wait for them to stop to see what prize lies in store for you. The sounds of your winnings being added to the pool do remind me of the sounds of Friday night as a kid growing up in London, in the local shops (or pub) while watching people playing the fruit machines, especially with the twinkling lights surrounding the reels, it's as if were back there. The lever is an especially nifty little touch that makes this game all the more nostalgic. Broken hearts and engagement rings spin their way round these glittering reels, surrounded by lightbulbs and red hearts. 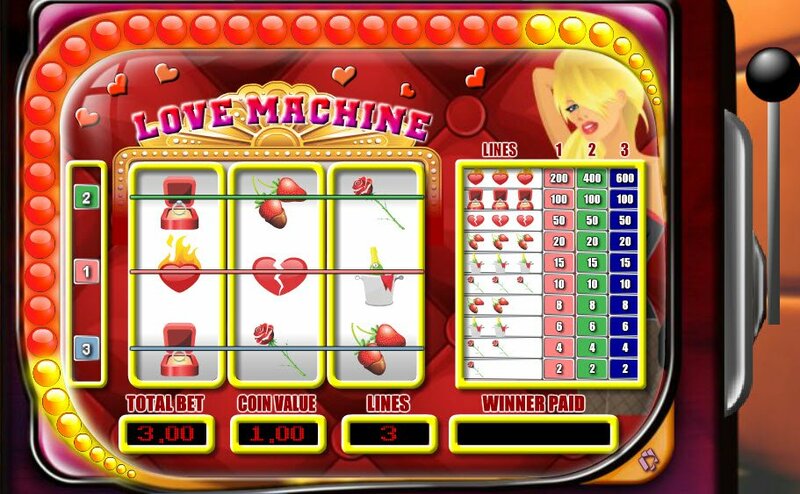 As with most 3-reel fruit machine's, the Love Machine slot has no sort of bonus rounds, free spins or bonus features on offer and the prizes aren't anything special. The amount of coins on offer is fairly decent, but I have seen better rewards for this type of old school game. The sound effects and simplicity, with that old school touch do light up the screen somewhat though.